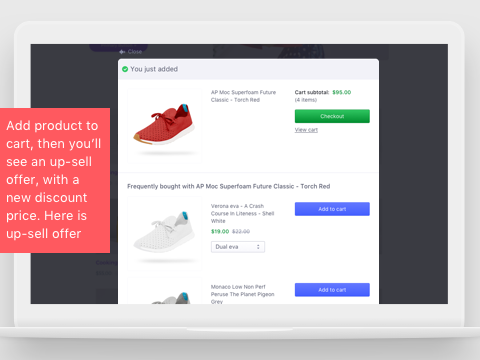 Last step up-sell offers on cart page to convert even more sales from paying customers. We keep selling for you until impossible! Bundle products that go well together into an irresistible combo your customers love to buy. You can also offer discount coupons to promote your value deals even better, and significantly boost sales from any existing customers. 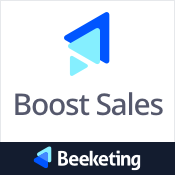 Gamify your offers to excite customers and make even MORE sales from their order. 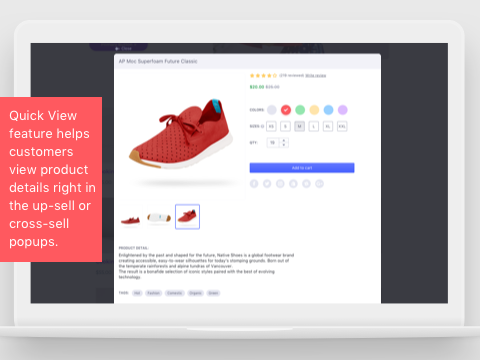 The game design technique is applied in smart coupon popups that motivate your shoppers to add more products to cart in order to receive offers. Increase user engagement on your websites, motivate customers to spend more, come back & refer you to their friends. Keep selling more for you on cart page until impossible! 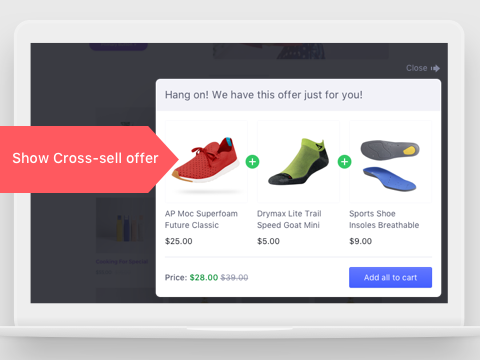 When customers click “Check Out” button in cart page, one last up-sell offer will show up to suggest them more items they might want to add, before check out.